Here are this weeks links! Happy Clicking! 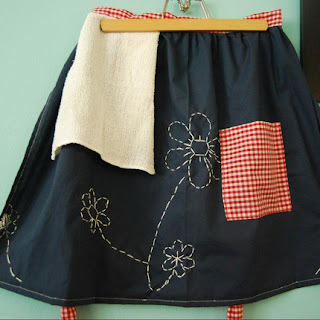 Domestic Days: Do you love aprons? Do you love swaps? Domestic Days is having an apron swap! [Image credit above]. Click over for all the details and the entry deadline. Katherine Marie Photography: She makes Frankenstein look adorable! Her creativity is always a pleasure to witness, and this week "frankie" as they call him, makes an appearance. Click over to Katherine Marie Photography for crafts, activities and snacks that are sure to inspire. Once Upon A Cupcake: It's no secret that I love cupcakes...I looooove them. And Once Upon made the most adorable owl cupcakes for a twins birthday party. So sweet and unique!